I’ve frequently made the case that gaming as a medium should be judged in the same context as film and television. Certainly several of the same elements are in place for all three entertainment forms. All incorporate video, audio, and storyline. Further, gaming takes interaction to a whole new level, far beyond booing and hissing at the villain on the screen. And, if you accept my premise, the next logical step in the conversation is to discuss those individuals and companies that have furthered the art form. The trailblazers, if you will. Arguably, Charlie Chaplin and Mack Sennett shaped the film art form in the early years of the previous century. Lucille Ball, Uncle Miltie, and Sid Caesar influenced the golden age of television. In a decade or two, when we begin to examine the early days of gaming, Mystery Case Files will surely be considered one of the great trailblazers of this medium. 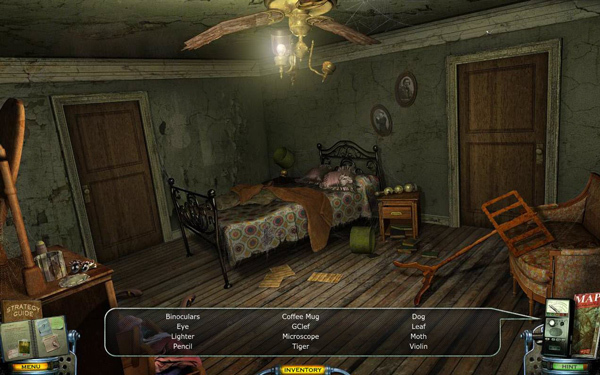 From its first game offering, Mystery Case Files has set the standard by which all other games will be judged. And, Shadow Lake is a worthy entrant into MCF’s game repertoire. Is it an unequivocal success? Not necessarily. While Mystery Case Files: Shadow Lake isn’t a total slam dunk, what it does jaw-droppingly well certainly overshadows the few times it drops the ball. Let’s begin with MCF’s huge win in getting Lea Thompson to participate as psychic Cassandra Williams. Cassandra is on hand to assist you as you investigate the evil legend that haunts Bitterford, Maine. Way back in 1973, a prison inmate unearthed a mysterious object from beneath his cell. Years later, Bitterford lies in ruin. You and Cassandra must uncover the events that led to the town's destruction. Only you can expose the evil that lurks somewhere in the ruins of this small town. Mystery Case FIles is known for raising the bar, and it may take a significant amount of time for any competitor to top the achievement of getting Marty McFly’s mom from Back to the Future to play a major role. The other actors are no slouches either and more than hold their own — especially cheesy reality show host Jack Talon. I dare you to not want to take a shower after meeting this slimeball. The storyline is creepy good fun and, from time to time, will probably result in a jump-out-of-your-seat surprise. 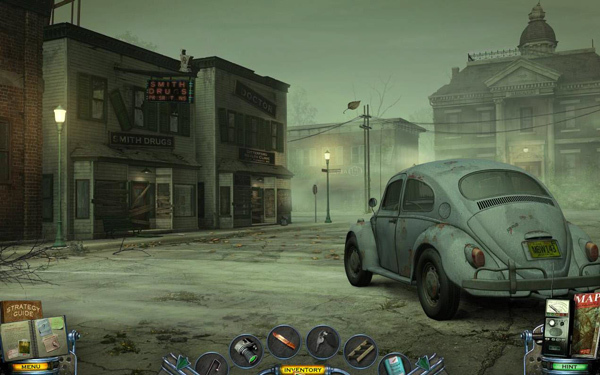 The graphics and audio are up to Mystery Case FIles’ sterling quality. Also, MCF has achieved a certain seamlessness in its gameplay. Hidden object areas are well integrated into the game as a whole, so you never get that jerky leap into a desk drawer or graveyard junkpile. The effect enhances the full immersive experience. My main criticism is the same criticism that I’ve had since my first MCF encounter. Something makes me think they are ignoring me as the issue persists. I know I’m starting to sound like a broken record (or broken CD to anyone born after 1980), but it really impacts my enjoyment. So, please allow me to voice my concerns again. Seriously, I spent 10 minutes trapped in the darkroom trying to figure out when in the heck I was supposed to do. 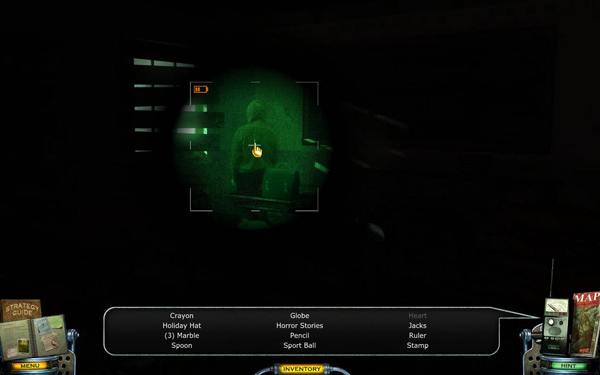 The strategy guide showed a screenshot of the darkroom with a switch and a timer circled. Silly me thought I was supposed to click each one. Clicking the switch worked. Clicking the timer didn’t. Then I tried to click and rotate the timer. No luck. 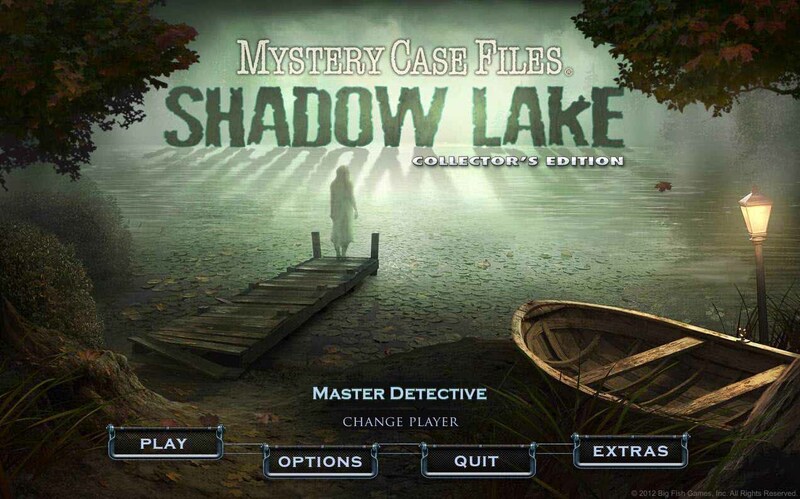 The only thing that saved me was Tracy’s Mystery Case Files: Shadow Lake Walkthrough published on CGG where, lo and behold, WORDS told me what to do! Imagine that! I suggest you check out Mystery Case Files Shadow Lake both from the standpoint of an enjoyable game, but also with a view to its significance in the history of gaming.